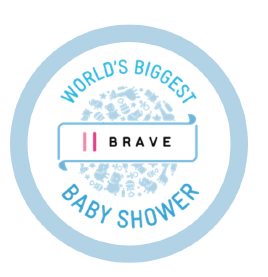 The World’s Biggest Baby Shower (WBBS) is the signature national fundraising initiative for Brave Foundation. 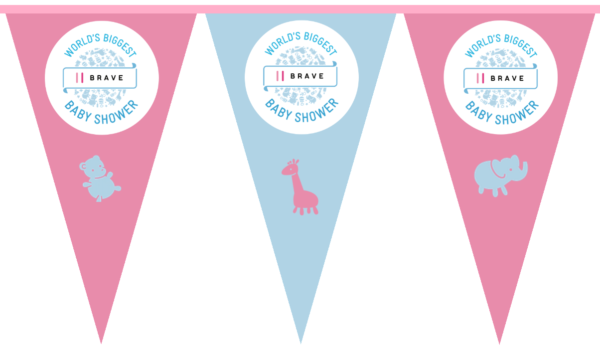 Register with Brave Foundation to hold a baby or fundraising shower during the month of May. You don’t need to be pregnant to hold a shower – this is your time to honour all mums and mothering role models in your family, community or workplace. 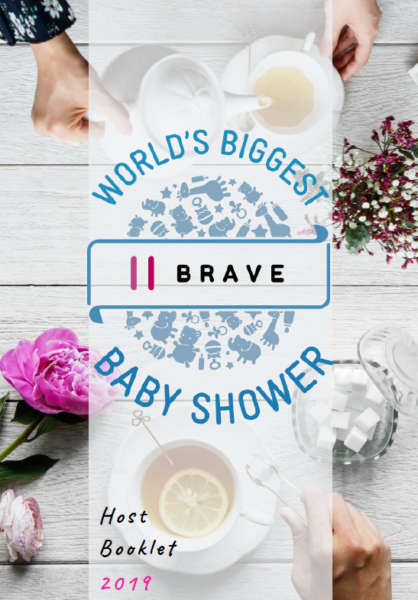 Attendees to your shower will give donations to Brave Foundation’s World’s Biggest Baby Shower. You will be equipped with free online resources and shower ideas from Brave Foundation to help in holding your shower. You can also be part of the World’s Biggest Baby Shower at any time throughout the year, by hosting your baby shower or event at any time and raising money for Brave Foundation. We will provide plenty of inspiration, support, and free resources so that your WBBS fundraiser is a success! Once registered as a Host, download our free Host booklet (available below), which provides you with everything you need to know about hosting a World’s Biggest Baby Shower. 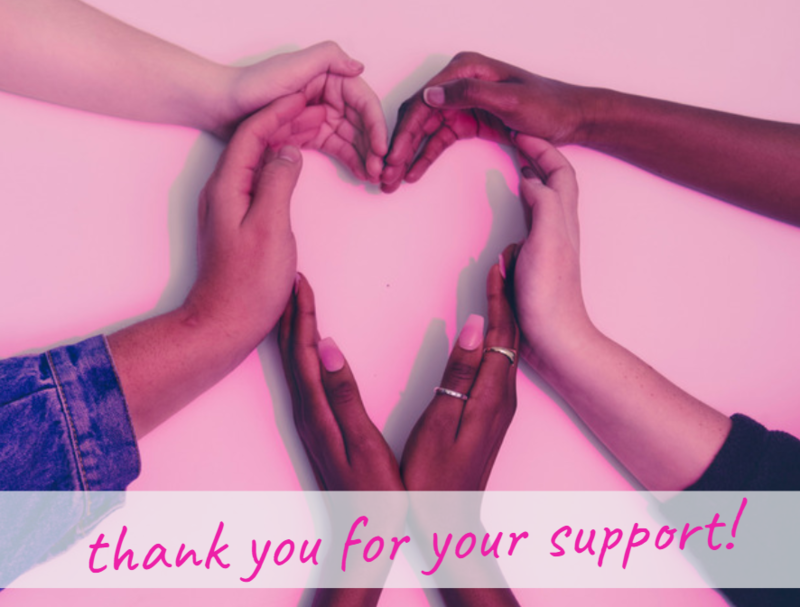 We also provide plenty of inspiration, support, and free resources so that your WBBS fundraiser is a success! You can access our most popular free downloadable templates and decorations below, or scroll to the bottom of the page for the full list of resources we offer. Register now to hold your own World’s Biggest Baby Shower fundraising event! Yes, keep me up to date with information from Brave Foundation. I have read Brave Foundation’s Fundraising Guidelines and understand the content. By ticking the box I agree to conduct my fundraising activity in accordance with these Guidelines. * Please tick the checkbox below to prove you are not a spammer. Thank you, your application has been received! 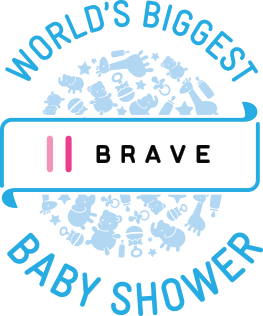 Thank you for your interest in becoming a Brave Community Champion! The date for the next World’s Biggest Baby Shower month is May 2017, so mark your calendar! There will also be a major breakout event in Hobart, Tasmania; if you would like to be involved in this event, please register your interest by email to breakoutwbbs@bravefundation.org.au. funding research surrounding the expecting/parenting teen, access to support services and education. I was a few days shy of my 17th Birthday when I found out I was pregnant. When I found out I was shocked, horrified, scared. I couldn’t really believe it and initially I didn’t know how to feel. I had no idea whether I wanted to keep the baby. I was still at school, going into year 11. 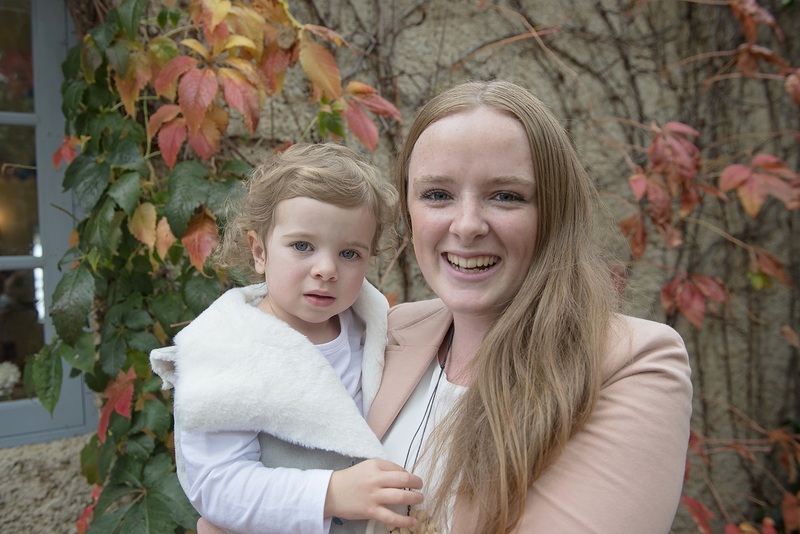 A big factor of my decision to continue with the pregnancy was to make sure the school would support me to finish my education.